The Netherlands will block Bulgaria and Romania's aspirations to joint the visa-free Schengen Area, the Dutch government has decided, confirming earlier forecasts and reports. The Netherlands will be opposed even to a modified "partial" or "two-phase" membership in Schengen for Bulgaria and Romania at the upcoming External Affairs EU Council sitting on September 22, Elaine De Boer, a spokesperson for Dutch Minister for Immigration and Asylum Gerd Leers, announced Friday night, as cited by BGNES. "The [Dutch] Cabinet has decided that we are still against the accession of the Bulgaria and Romania. We will not approve their partial accession, either. We will say "no" during next weeks meeting in Brussels," the spokesperson is quoted as saying. After failing to join the Schengen Area by March 2011, Bulgaria and Romania have been awaiting the meeting of the Council of the EU on September 22 to receive a decision on their Schengen fate. The EU's latest members Bulgaria and Romania, who joined in 2007, have had their Schengen accession blocked by a number of older member states, such as EU juggernauts France and Germany. Dutch Minister for Immigration and Asylum Gerd Leers is quoted as saying that the Netherlands is against any decision on the joining of the Bulgaria and Romania to Schengen before 2012. Speaking to the Dutch Parliament Thursday evening, Leers already stated the Netherlands will "work against" Bulgaria and Romania joining the Scdhengen Agreement. Neither of the two Balkan countries is doing enough to combat corruption, Leers told the Dutch Parliament, pointing out this is a fact confirmed by a European Commission report this summer. 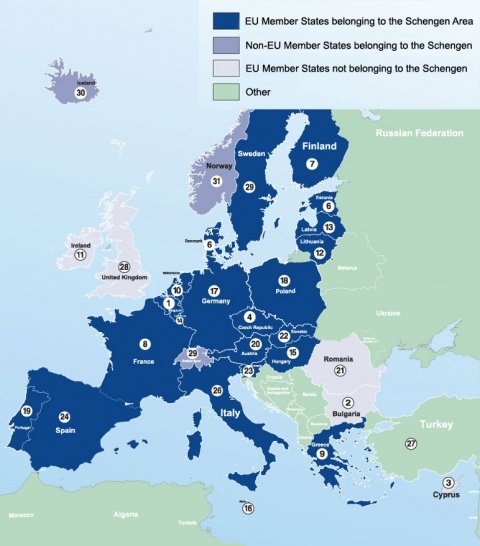 Germany, Sweden, Denmark, and Finland have been known to share the Dutch misgivings but the Netherlands appears to have become provided the most categorical "no" to Bulgaria and Romania in Schengen ahead of the much-anticipated September 22, 2011, ministerial in Brussels. It is a common perception that both Bulgaria and Romania have fulfilled the technical requirements for Schengen accession, but their entry has been opposed on the grounds of what other members claim to be persisting problems with corruption and organized crime. "Bulgaria and Romania have met the technical criteria for Schengen membership. Unfortunately, the issue has been politicized," His Excellency Leszek Hensel, Ambassador of Poland to Bulgaria, has told Novinite.com (Sofia News Agency) in an exclusive interview. He added that the decision about Bulgaria and Romania's accession to the Schengen Area would be shaped precisely during the Polish EU Presidency in September 2011.